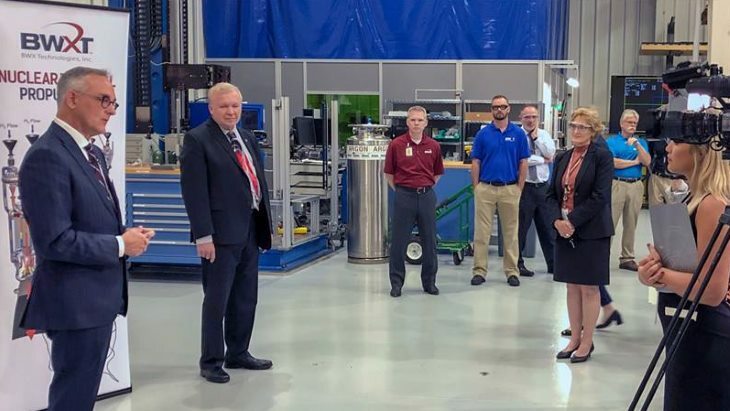 BWX Technologies, Inc yesterday hosted officials from NASA’s Space Technology Mission Directorate for progress updates and technology demonstrations related to BWXT’s nuclear thermal propulsion programme. Man has been sifting through trash for millennia, but the extraction of americium-241 waste from the UK's stockpile of civilian plutonium takes the exercise to a whole new dimension. Am-241 - a decay product of plutonium-241 - is the most prevalent isotope of americium in long-term stored plutonium and is currently considered to be waste. Russia and the USA have agreed to cooperate on a range of nuclear-related research areas such as safeguards, security, fast reactors - and "defence from asteroids." A nuclear power source is likely to sustain NASA's next exploration of Mars - a robot that will take a package of samples for return to Earth and address gaps in the knowledge required for manned exploration. 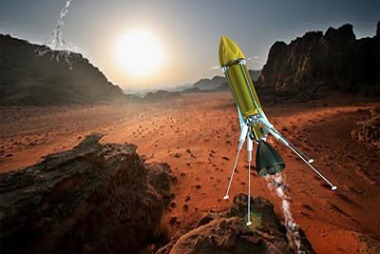 Space travel to Mars and beyond may only be possible through the use of nuclear rocket technology, NASA suggests. Such spacecraft would be much faster than conventional craft, cutting the length of the mission and thereby reducing radiation exposure to astronauts. A team of researchers from NASA and Los Alamos National Laboratory have demonstrated a new reactor concept that combines a Stirling engine with modern heat pipe cooling technology to provide a power source for future space missions. 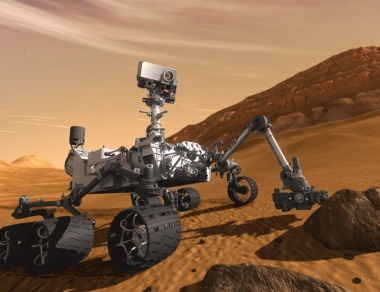 Nasa's Curiosity Mars rover has carried out the first ever measurements of radiation on another planet. Its findings suggest that astronauts would be able to live on the surface of Mars for long enough to carry out extended missions. A new era of space exploration is dawning through the application of nuclear energy for rovers on Mars and the Moon, power generation at future bases on the surfaces of both and soon for rockets that enable interplanetary travel. With one week before its launch, NASA's latest craft bound for Mars has been fitted with the nuclear battery that will keep the transport vehicle warm in space and power a rover for up to 14 years. Small rovers that hop from place to place are being developed for future Mars missions. Powered by nuclear energy, they could map the entire planet in a few years.